If you were a fan of Dr. Munchies Pizza (remember the throne and tables? ), or you're a current fan of Padington's and Pietro's (the Pietro's I remember from 20+ years ago), then you'll love Donatello's Pizza. When we walked in the door, I thought I'd been transported back twenty years when Pietro's leased that space. The fire engine red walls are back! And the interior looks much the same as it did, though there are a few remaining changes made by the short lived Maverick's. N and I shared one of their Supreme Pizzas, the Porky Pig. I asked for the addition of the tomatoes. I often crave the combination of Canadian bacon, pineapple, tomatoes with a tangy sauce. Now I know where to go when that craving strikes again. Did I mention they make tasty cracker crust? The place was abuzz with the noise of children and the groups of adults that nearly filled the tables on a Saturday evening. It's hard to beat a pizza parlor for family dining: It's relatively inexpensive, a game room provides entertainment and you don't have to worry about how loud your crew is. Donatello's is that kind of place. Non pizza eaters will appreciate their salad bar and beer drinkers will be glad to find some craft beers on tap. Plus, they have a designated space for parties and their website says they serve a pizza and salad buffet for lunch everyday. Great post. I agree with everything you said. One thing though, the salad bar was a little weak. No tomatoes and it did not seem well attended too. Not enough to stop me from going back. This place is going to give Padington's a run for the money. I want to go back and see how good the spaghetti and meatballs is - we saw a couple orders going out when we were ordering our pizzas... it was tempting. I agree with the above review about the retro Pietro's feel. The Pizza was excellent and my wife really enjoyed the 29 item salad bar. Im not sure why it was disliked by some, we thought it had great variety. The Bacon Cheeseburger pizza was one of the best pizza's I have had in a long time. I was reluctant to try it with thousand island dressing instead of pizza sauce but they had just the right amount on as it didnt overpower anything. Next time we are going for the Porky Pig pizza which has pizza and barbeque sauce, canadian bacon, crumbled bacon, pineapple and italian sausage. Cant wait! Not only is the pizza good, but the people working there are great. Let's keep this place in business people! The food is fantastic. The staff is friendly. The environment is very retro, in a good way. Actually this place is only missing the player piano and it would take me back to the days of Shakey's Pizza Parlor, before the owner passed and his wife turned it to Izzy's. All of this and the owners and employees support local art and artists. 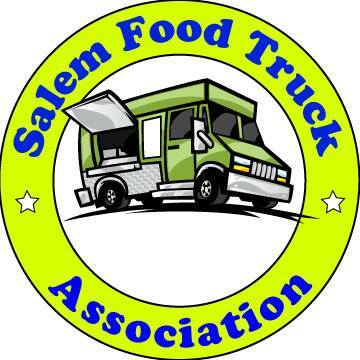 We need to do everything we can to keep this place alive in Salem. Donatello's faimly/locally owned pizza parlor offers a family dining experience that corp corporate machine forgot about decades ago and they are supporting their community to boot. Do yourself a favor and make a date with your family to hit this place up. Its great since its next to Northern Lights theater, Its great pizza to get before a cheap movie. A great place to take the family. It reminded me of Shakeys also and the pietro's I grew up with. I live out North now and go to pietros sometimes but I think I will head south more often. The have great specials for Facebook friends. Like them today. I've done the Salad Bar, Buffet, Spaghetti and whole Pizzas so far. I'm a fan of their NW (thin) Crust. Rebecca and Tim, two of the young servers, are top notch. I rank the Pizza here among the top 3 in town. They also frequently participate in KYKN half price gift certificate deals which, if you catch them on the initial offering day, are less than half price. Makes a good deal even better. Oh my God! That pizza looks like the Pietro's that I remember growing up as a kid!!! I will definitely be checking them out soon! !